The online marketing world is not slowly, but surely cementing its way through becoming the primary marketing channel. Most businesses have turned to online advertising, and it seems to be the natural way the economy evolves. After all, what’s the use of so much technology, if we don’t make the best out of it? Advertising your products or services online means you can bring value to a lot more people who need your products. And the more value they perceive you’re sending their way, the more likely they are to become loyal customers of your brand. This refers not only to the product you’re selling, but to their entire buying experience – starting from their first interaction with you, and long after they made the purchase. And it’s no secret that maintaining a great relationship with your customers is one of the best bets you have for a successful business. Without a doubt, the companies that will use Social Media to communicate with their prospects and clients will win. The reasoning behind it is simple – the offer needs to adapt to the market’s needs. And what are our needs, as consumers? To get our problem resolved in the shortest time possible. And what could be faster than Instant Messaging? 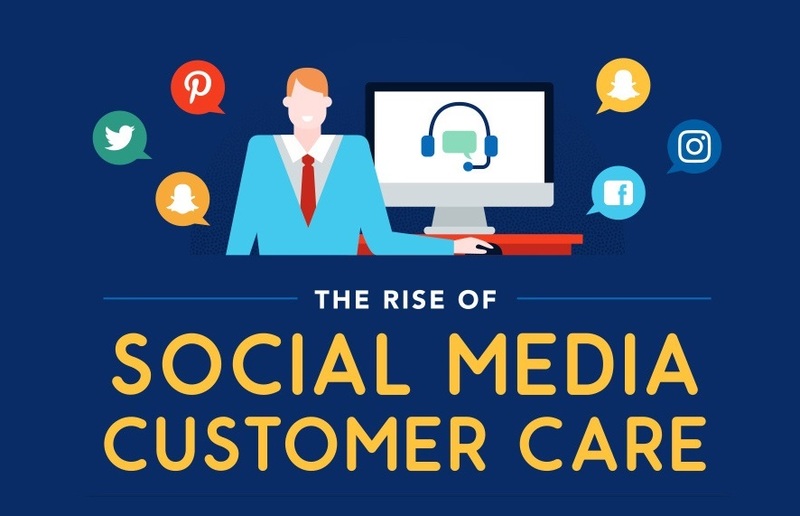 If you’re still not convinced it’s worth moving part of your Customer Care Department on social media, take a look at the infographic below! The team at WebsiteBuilder has gathered data with the best examples to prove that Social Media is the future of a successful business!